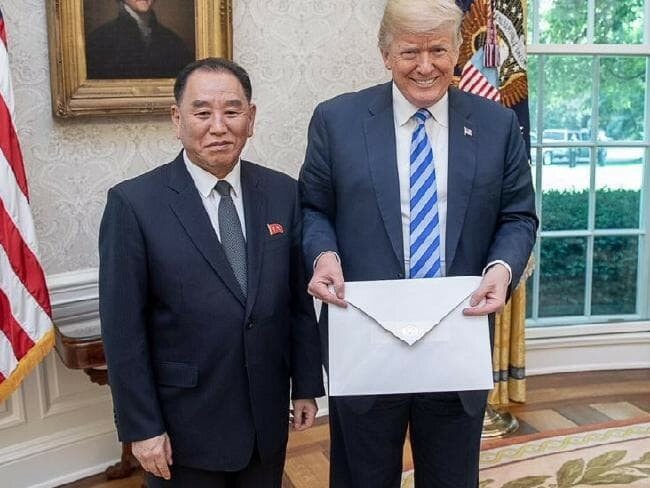 (VOVWORLD) -The White House says President Donald Trump received a new letter from North Korean leader Kim Jong Un Wednesday. White House spokeswoman Sarah Sanders said the correspondence is aimed at following up on their meeting in Singapore and advancing the commitments made in the leaders' joint statement there. Trump tweeted early Thursday his thanks to Kim for the letter. On July 12, Trump published an earlier letter from Kim, expressing his hope for improved bilateral relations.